Pitsiä ja ruusunpunaa: Vintage and Beauty - DT "Use Dies"
Vintage and Beauty - DT "Use Dies"
Minun DT korttini It's all about the Vintage and Beauty "Käytä stansseja" -haasteeseen. Pitsinen ympyrä on Spellbindersin Stately Circles, lehtistanssi on Marianne Designin ja kierura on osa Cheery Lynnin Flourishia. Elegantti nainen on Fitztownin leimakuva. 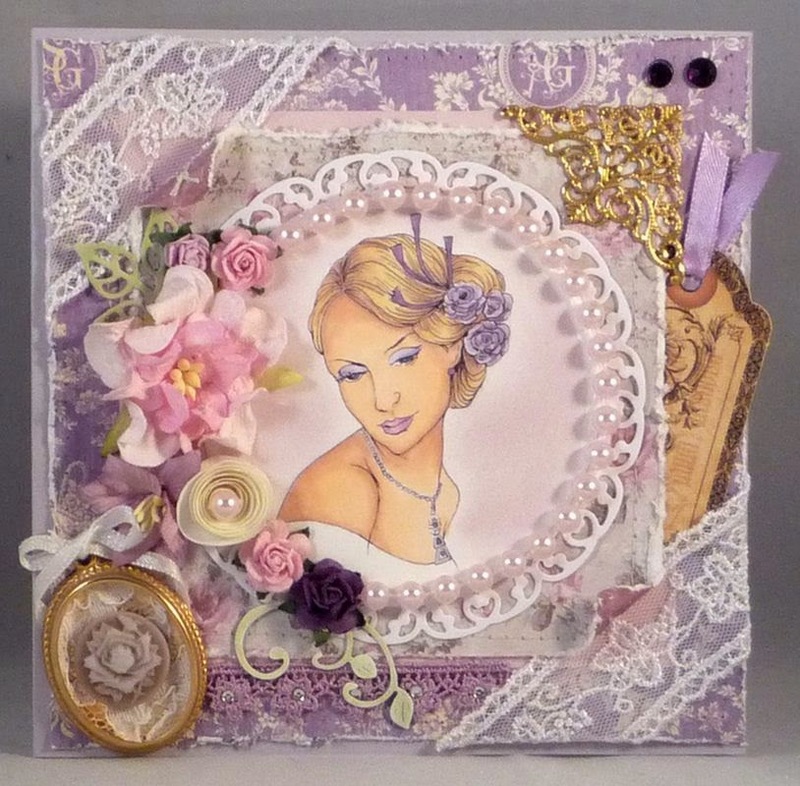 This is my DT card for a new "Use dies" -challenge at It's all about the Vintage and Beauty. The dies I've used are: Spellbinders Stastely Circles, Marianne Design's leaf and a part of Cheery Lynn's Flourish. Elegant lady image is from Fitztown. Siis todella kaunis kokonaisuus. Mahtava!